This is so cool. And it is definitely one of the more unusual fish tank ornaments that I have here. Your fish is gonna feel like such a badass. 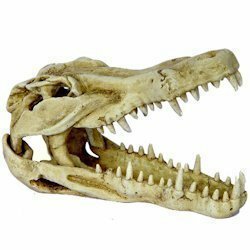 When your friends come round, you can pretend like your fish killed this massive crocodile, and just let his body rot in the fish tank. Your friends will be so impressed. They might take selfies with your fish. They might ask your fish to go to the pub, instead of you. Your fish will become a local legend. All because of this. Wow. This is all just guesswork of course. They might not care. 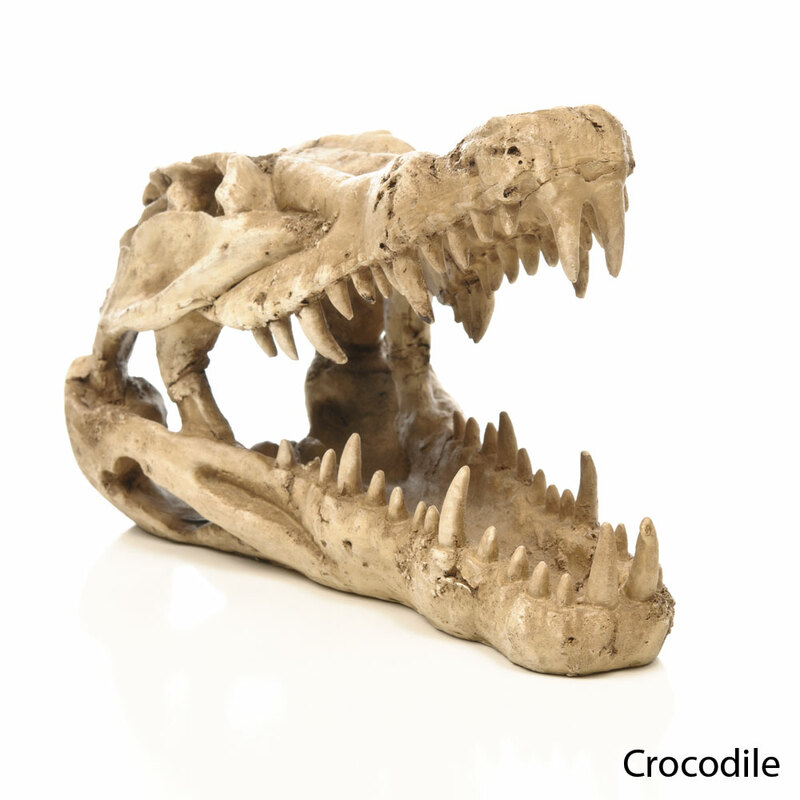 You might be ridiculed for even trying to pretend that your fish killed a crocodile. Getting this fish tank ornament was the worst decision of your life. Sorry about that. 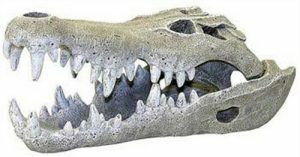 And if you fancy an even more unusual crocodile skull, why not check out this ornament based on the skull of a Nile crocodile?